Contact | Alexandra Park Medical Centre a Medical Practice located in Bundaberg, family oriented GP and doctors that care. We are a small practice and so we take a limited number of new patients per week. 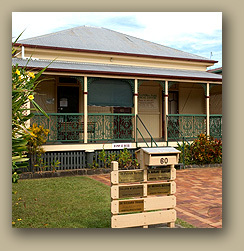 We assign priority to patients who are new to Bundaberg and who do not have a current G.P. When we accept one member of the family as a patient, we automatically accept all the family. All new patients are to apply via our website by filling out our New Patient Form.